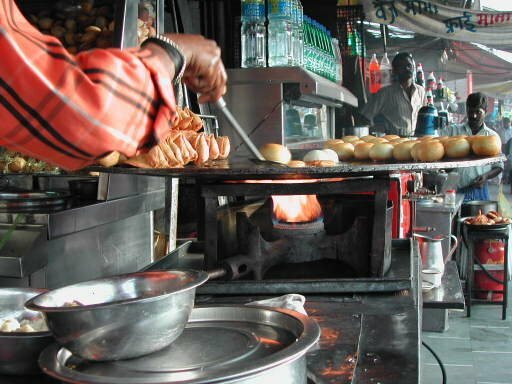 New Delhi, Capital of India could not be imagined without roadside street food vends serving millions in the city, their favorite food. Whether it's Delhi's famous Chaat or hot & spicy samosas, mouth-watering chowmein, momos, paranthas, chole-bhature & many other delicious food items, all are an inseparable part of the life of Delhi residents. But now people have to live without all these delicacies as Supreme Court has banned cooking at food vends on footpaths while finalizing the hawking and squatting schemes for Delhi. As per that ban, the owners of these vends shall now have to cook their wares at home and sell them in packets. As per the plan, three lakh ( 0.3 Million) hawking spaces will soon be allotted & from these places only pre-cooked food and other products can be sold. So now Delhites shall have to change their outside eating habit's a little bit as they are going to miss all those mouth-watering delicacies.